Used to clean injector nozzles and intake systems in motor vehicles. 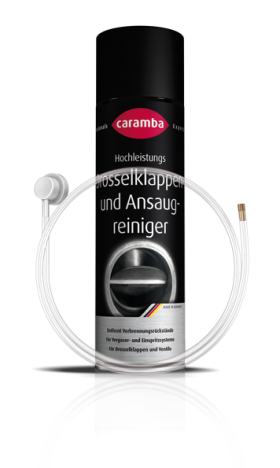 Improves exhaust emission values and prevents performance loss. Penetrates into hard-to-reach locations thanks to an optional separate spray probe. Shake can before use. Remove the air filter element. 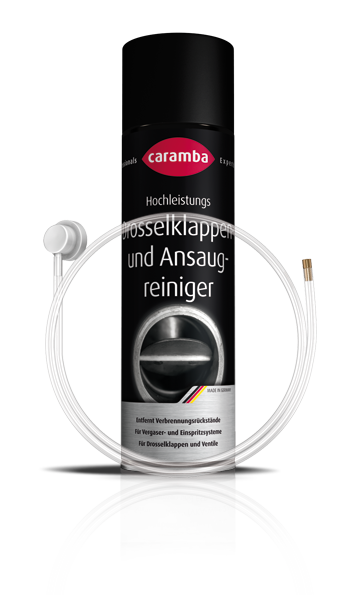 Spray CARAMBA intake cleaner several times on the parts to be cleaned with the engine in warm condition and allow it to soak in for at least 5 minutes. Use the spray head with separate spray probe for cleaning hard-to-reach locations. Start the engine and run it at medium speed. Continuously respray cleaner for approx. 30-60 seconds. Then, stop the engine for 15 minutes so that the cleaner can react. Repeat the application in case of heavy soiling. Reattach the air filter element and start the engine.